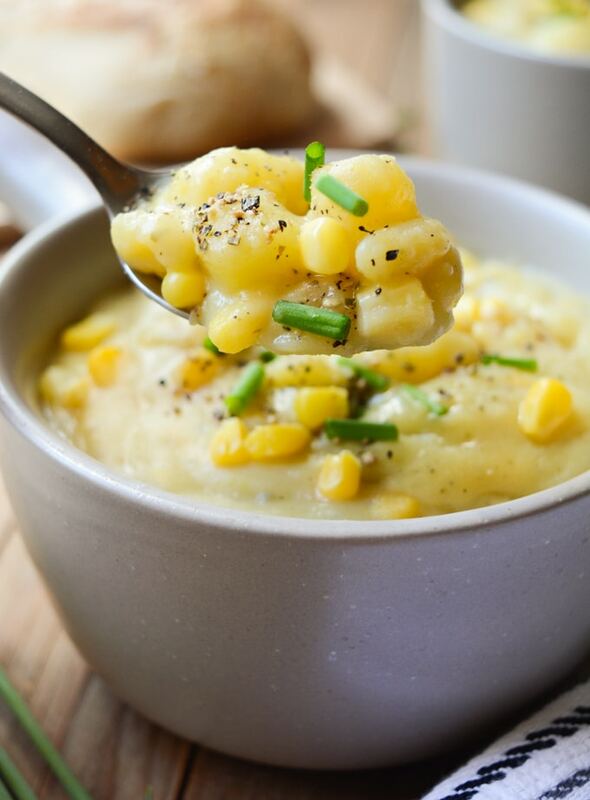 Vegan Potato Corn Chowder is a thick and hearty, dairy-free recipe. It takes only one pot and a few simple ingredients you have in your kitchen. This rich and chunky soup will keep you warm all winter long! 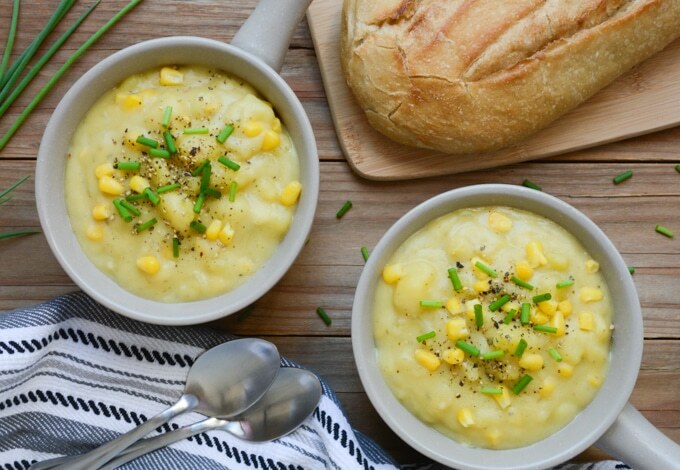 Is vegan potato corn chowder easy to make? 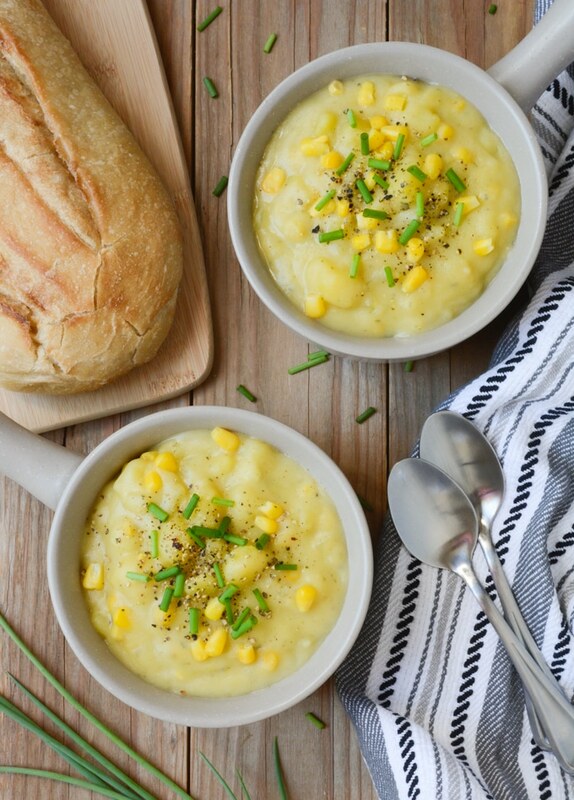 If you’re a fan of my potato cauliflower soup, you’ll love how easy and flavorful this hearty vegan potato corn chowder is! It comes together in 4 easy steps. Toss the ingredients into the pot. Blend a portion to thicken if desired. Now devour this simple and hearty chowder. What ingredients are used in this soup? Vegan chowder is so creamy, rich and comforting! 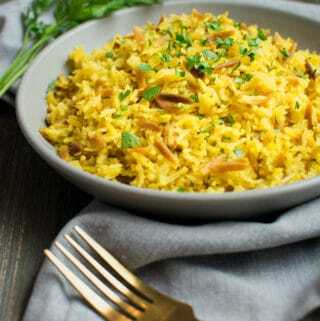 It’s loaded with whole food ingredients like potatoes, onion, sweet corn and white carrots. Top your chowder with green onions and fresh ground pepper to complete the bowl. Pair it with a loaf of sourdough bread for an extra filling meal! Now grab a spoon and dig in! I always have orange carrots on hand. White carrots are a bit harder to find, but they can usually be located in a bag of rainbow carrots. When I’m out I toss in the orange carrots without any taste difference. I went with white carrots for this recipe to keep the soup color more neutral. Since they are harder to find feel free to use any color carrots you have available. 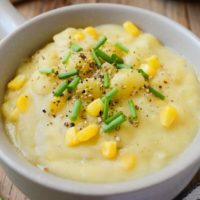 How do I thicken potato corn chowder? Simply blend a portion of the soup with an immersion blender or standard blender to thicken it up after cooking. Or forget the blender and just mix in the optional flour. 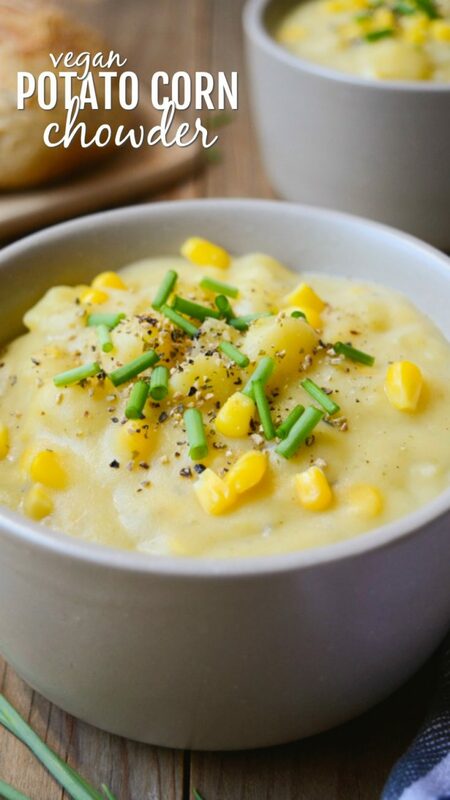 Can I freeze potato corn chowder? I don’t suggest freezing this chowder. The potato chunks will turn to a grainy, mushy, unappetizing texture when defrosted. I find it’s best to enjoy the soup fresh or within 3-4 days stored in the fridge. Or you can find more warming soup ideas here. 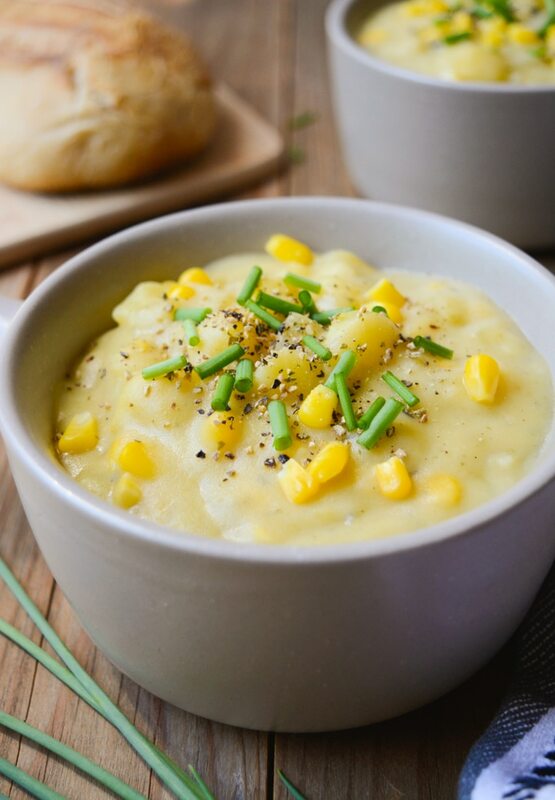 Vegan Potato Corn Chowder is a thick & hearty, dairy-free recipe. Keep warm all winter w/ this one-pot, rich & chunky soup. Add everything, except the corn, non-dairy milk, and flour (if using) to a large soup pot. Cover and bring to a low boil. 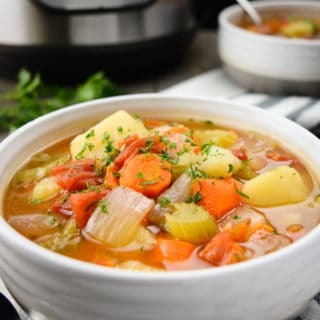 Cook until potatoes and carrots have softened. About 15 minutes. Mix in the non-dairy milk and return to a low boil for another 5 minutes or so to thicken. Stir occasionally to keep the potatoes from sticking. Taste, and adjust seasonings as needed. Serve topped with fresh green onions and fresh ground pepper. Flour: If you are using flour to thicken the soup, measure out 1/4 cup non-dairy milk and whisk in the flour. Pour the flour mix and remaining 3/4 cup non dairy milk into the soup pot. For an extra thick chowder, add the flour and blend 1/4 of the soup. Leftovers- save well in the fridge for up to 4 days. Reheat any leftover chowder on the stove in a saucepan. Since refrigerating further thickens the chowder, you may need to add more veggie broth to help thin it out and adjust the seasonings. This soup was fantastic, our entire family enjoyed, including teenage daughters. I did not need to thicken with anything and I had omitted the nutritional yeast, since I just did not have on hand. Will make again and the perfect lunch for St. Patrick's Day. I used vegetable stock and ground thyme so it had a weird brownish color but was delicious. I think I might try parsnips as one person suggested for next time. I'm happy to hear it was still delicious, Angela! If you try it with parsnips, come back and let us know how it was! Loved this recipe! Stuck with orange carrots and added celery. I've done this recipe before and tried full fat coconut milk, it was amazing and not too coconutty at all. Left out the flour or starch step and never missed it. Will continue to use this recipe. What vegetable broth do you use? Mine always has an oeganish color? Hi Sharon! I use the organic vegetable broth from Trader Joes. If you don't have one near you, Pacific broth is very similar and found at most supermarkets. But since this is an older recipe I may have used these vegetable bullion cubes. I try to avoid yeast extract and palm oil so I stay away from those and only use the broth from TJ's now. Easy, Quick and Delicious!! Definitely will be one of my go to soups. Thanks so much for sharing. Delicious! Thanks for the recipe. 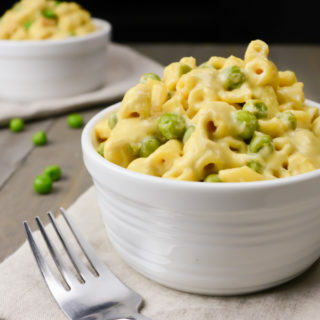 My only suggestion would be to add some of the corn to the thickening process at the end, since the breakdown of the cooked vegetables enhanced the flavor. And since it is corn chowder, I’d think the enhanced corn flavor should be more prominent. Otherwise it’s more or less thickened potato vegetable soup with corn kernels. Still delicious, but lacking some of the corn flavor easily included. Thank you for the suggestion Bart! I went ahead and added it to the notes of the recipe. Can you replace the flour or nutritional yeast with corn starch? Are red potatoes and/or sweet potatoes ok to use in place of the Yukons? Would this be ok to freeze and serve later? This soup is best fresh, I wouldn't suggest freezing it. The potato texture changes too much during freezing, which creates a grainy soup. 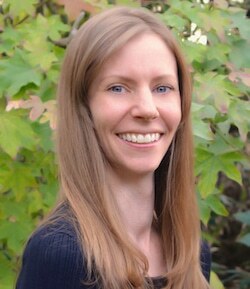 What kind of non dairy milk do you use? I can’t find white carrots. I know parsnips don’t have the same flavor as carrots, but I’m wondering if I could use them instead? You sure can!! They will have a slight pepper taste, so taste the soup before adding more pepper. Enjoy! Thank you for the feedback Madelyne! Parsnips seem to be a perfect substitution! Potato and corn chowder is one of my favorite winter soups. This looks so delicious! Thanks, Linda! 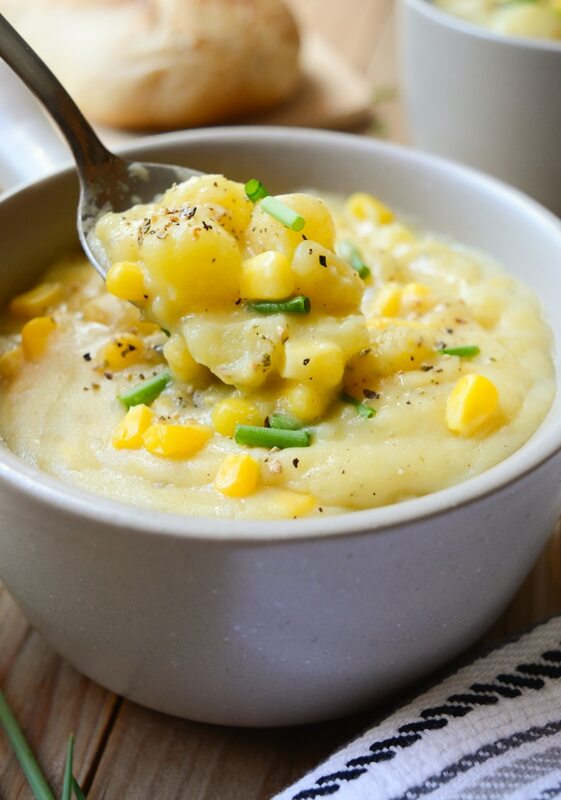 You can't go wrong with potatoes and corn!